By the time Jo Huey was six-years-old, she knew the sound of her father coming home from work meant trouble. 'Unsure of his mood, my sister and I would peep around the door, hoping he’d be pleased to see us. But often he’d be drunk and aggressive. We’d have to dodge round the kitchen table to avoid a whack,’ she says. 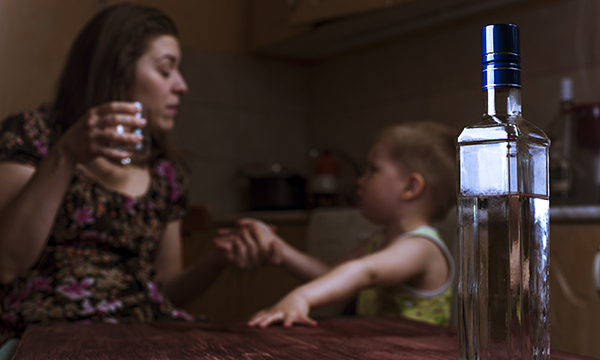 Today, an estimated 200,000 children in England live with an alcohol-dependent parent, of whom just 15,500 receive treatment, according to a parliamentary report on the long-term health effects on children of parental alcohol misuse (PAM). Commissioned by a cross-party group of MPs – some of whose own childhoods were affected by PAM – the report reveals that, in addition to its association with child physical abuse and neglect, PAM may leave children taking on family caring responsibilities, as well as feeling isolated, stigmatised and guilty. RCN children and young people’s staying healthy forum chair Suzanne Watts welcomes the report’s call for a national strategy to raise awareness of PAM. Hilary Henriques, chief executive of the National Association for Children of Alcoholics (NACOA), which provides advice to those affected by parental drinking, believes nurses can play an important role in identifying and supporting such children. National Society for the Prevention of Cruelty to Children (NSPCC) policy manager Craig Thorley agrees. 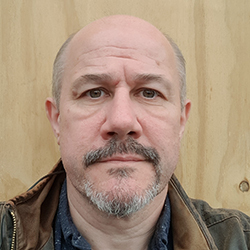 'Health visitors and school nurses, trained to spot signs of child abuse and neglect, play an essential role in identifying whether a parent’s alcohol misuse is affecting their children,’ he says. But, at a time when some health visiting services are being cut by 20%, providing enough staff to assess parental drinking problems is challenging, adds Ms Amadi. `Young children seldom speak about this and parents – some of whom are high-functioning alcoholics – usually hide evidence of their drinking habits, so are unlikely to turn up at health appointments or the school gates drunk,’ she says. Ms Amadi and Ms Watts believe nurses’ best opportunity to identify, support or refer children affected by PAM is at school, where pupils may act out their anxieties away from home through behavioural problems, eating disorders or self-harm. By working in partnership with teachers and social services, school nurses, in private and state sectors, are 'absolutely key' to identifying and helping these children, says Ms Watts. As most councils cut their alcohol treatment services and more than half lack strategies to help the children of alcoholics, how can this hidden problem be identified and resolved? Describing the report’s findings as 'shocking' but welcoming its call for better data and more resources, alcohol nurse specialist psychiatric liaison at Northwick Park and Central Middlesex Hospital Adrian Brown says: 'Unfortunately, as alcohol services are trimmed back to save money, parents seeking treatment for alcohol problems may be deterred by difficulties in accessing help. Health professionals have welcomed the government’s announcement of a three-year £6 million package of measures to help support children living with PAM in England. The programme will aim to provide more early intervention services and outreach initiatives. 'Hopefully today’s children are more aware than I was, that parental alcohol misuse is wrong. As a child I never knew my father’s behaviour was abnormal and not my fault. But I remember no one, such as a school nurse, in whom I felt I could confide,’ says Ms Huey. And, if the report’s recommendations are followed, hopefully children today will be less likely to go through the same experience without any support.